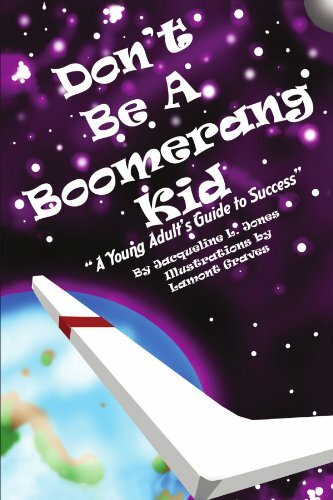 Amazon.com description: Product Description: DonÂ´t Be A Boomerang Kid-A Young AdultÂ´s Guide to Success is a motivational and practical guide for teenagers and young adults preparing to leave home. It takes them on a journey in which they explore personal relationships, careers, personal finances, spiritual growth, and helping others along the way.The book reminds them that they must prepare themselves for lifeÂ´s journey. DonÂ´t Be A Boomerang Kid doesnÂ´t mean they canÂ´t go home for help and guidance. It means that they should not leave home unprepared for the paths that they may follow. About: Don´t Be A Boomerang Kid-A Young Adult´s Guide to Success is a motivational and practical guide for teenagers and young adults preparing to leave home.